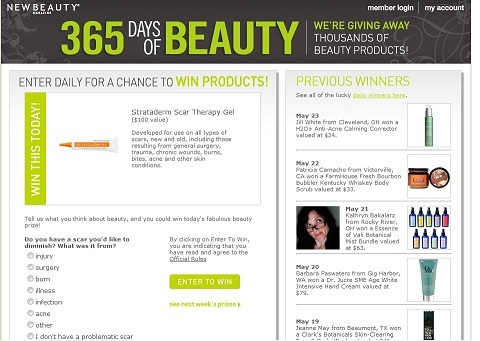 Hurry up and you can win a 50g tube of Strataderm in NewBeauty.Com Giveaway. That’s a $100 value! Strataderm is a rapidly drying silicone gel for treatment and prevention of scars. It softens and flattens scars, relieves itching and discomfort of scars, and reduces redness and discoloration associated with scars. According to Strataderm web site, a 50g tube of is enough for treatment of a 6×12 cm (2.5×5 inch) widespread scar. It should be ideal for a large burn scar.